Earn a premium while supporting U.S. energy independence, the environment and the economy. 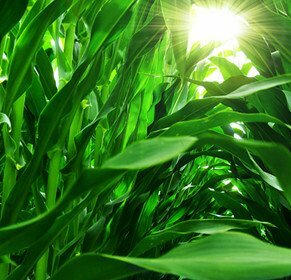 Enogen® corn enzyme technology supports the future of renewable fuels, the strength of your local community and the profitability of your farming operation. Enogen enables you to serve as an enzyme supplier for your local ethanol plant and provides the opportunity to earn a per-bushel premium for grain delivered to the ethanol plant. 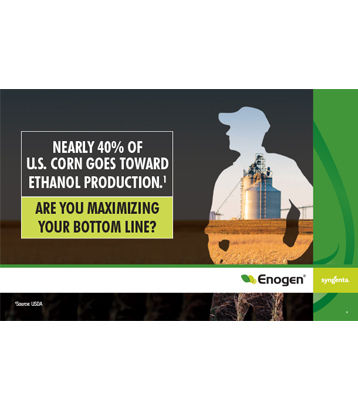 Growers access Enogen through a technology license with Syngenta and a production contract with an ethanol plant that has entered into a commercial agreement with Syngenta. 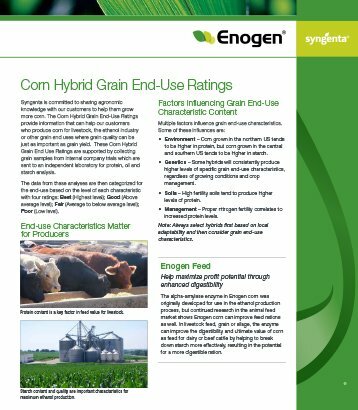 Enogen is available in high-yielding hybrids and can be grown with existing agronomic practices. 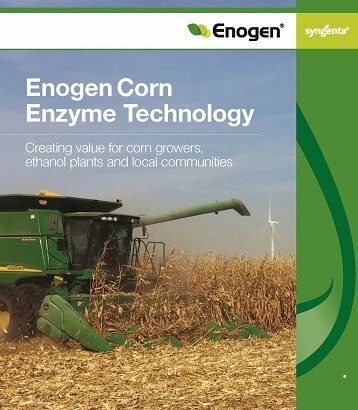 Enogen is a more efficient and sustainable way to produce ethanol from corn. 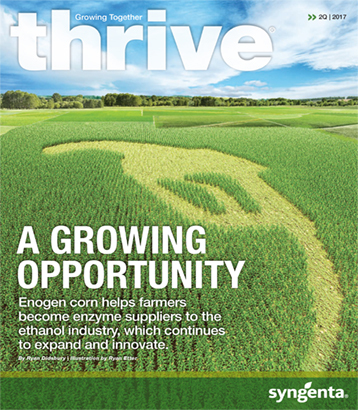 Premiums are paid for each bushel of Enogen delivered to participating ethanol plants. How much can Enogen impact your bottom line? Fill in fields of this simple calculator to discover your profit potential1. 1Calculations based on Ethanol Grower Advantage premium potential offered on average from contracted ethanol plants. The $0.40/bu premium and $0.10/bu premium are not a guarantee in every instance. What are growers saying about Enogen? Enogen corn is not commodity corn. 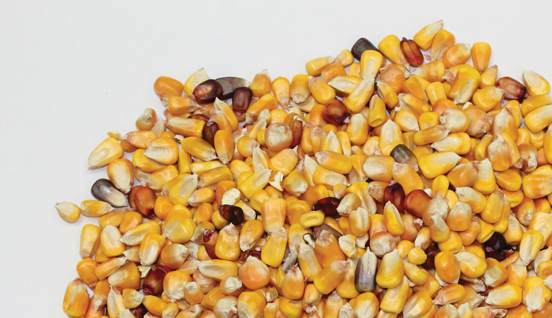 It is a high-value specialty grain for use in dry grind corn ethanol production. 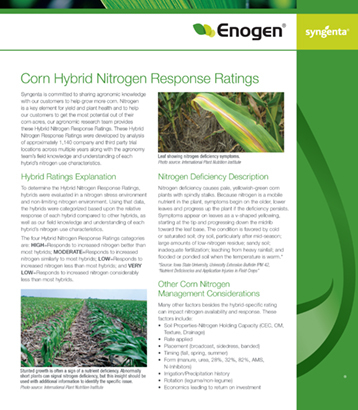 Syngenta has voluntarily developed a comprehensive program to mitigate potential commercial concerns about Enogen corn affecting unintended processes. 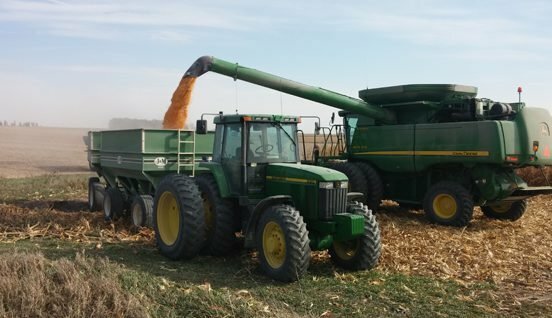 Enogen corn growers are required to follow specific yet simple stewardship requirements that include the planting of border rows around an Enogen corn field, planter cleanout, combine cleanout and reserved bin space for all Enogen grain. 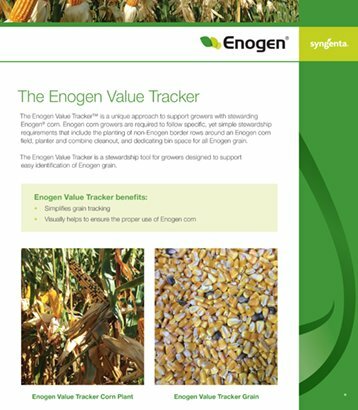 In 2015, Syngenta introduced the Enogen Value Tracker™, a purple tracer that offers growers an easy, visual way to ensure border rows are planted and grain is properly segregated from planting to delivery. The Enogen Value Tracker is designed to make a simple protocol even easier. Manage your stewardship requirements with ease using GrowMore360™, a convenient online tool for Enogen grain and stewardship contract management. To help you preserve grain quality and improve return on investment, Chief Agri/Industrial Division is providing rebates on grain bins, metal buildings and grain handling equipment through an agreement with Syngenta. Stiffened bins from Chief Agri/Industrial Division are available in sizes ideal for on-farm use and offer growers all the features that have created the grain bins’ reputation for superior strength, durability and ease of installation. 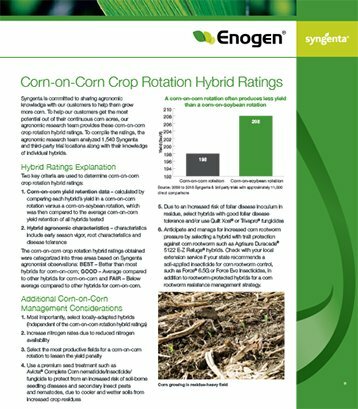 For information about the Enogen hybrids best-suited for your needs along with complete corn and soybean product information in our area-specific seed guides. Select below for retailer or seed advisor options. Dowload your local Golden Harvest® seed guide for more information or contact your local Seed Advisor. Download your local NK® seed guide for more information or contact an NK Retailer. 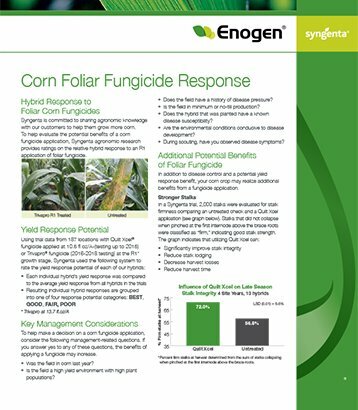 ©2016 Syngenta. Important: Always read and follow label instructions. Some crop protection products may not be registered for sale or use in all states or counties. Please check with your local extension service to ensure registration status. Acuron, Lexar EZ and Lumax EZ are Restricted Use Pesticides. Trivapro is sold as a combination of separately registered products: Trivapro A and Trivapro B fungicides. 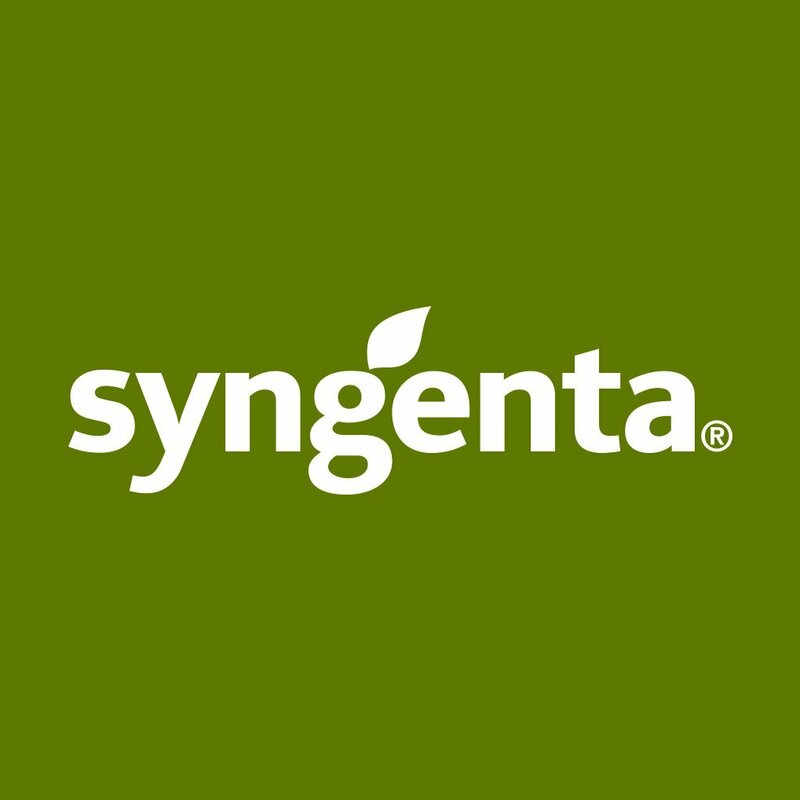 Acuron®, Dual II Magnum®, Enogen®, Enogen Value Tracker™, Golden Harvest®, GrowMore360™, Halex®, Lexar®, Lumax®, NK®, Quilt Xcel®, Trivapro™ and the Syngenta logo are trademarks of a Syngenta Group Company.